Let's start off with what worked. Overall the cast is well above average. Hopkins is great as always, but the standout in the film is the actress who played the possessed pregnant girl, Rosaria. She is the focus of a good portion of the film and whenever she is on screen she keeps it interesting. This is also why the film stumbles and ultimately leads to disappointment. Without venturing into spoiler territory, up to a certain point the movie is actually very good. It builds slowly and steadily, working to create a creepy and involving atmosphere. Then, about halfway through, the movie you've been watching and enjoying abruptly ends and turns into something very different. A bad kind of different. This shift is what hobbles the film and makes the end result so upsetting. It's like this: Watching a uniformly bad film is like desperately wanting a puppy for Christmas. Christmas morning rolls around, you look under the tree, and there is no puppy. It's unpleasant, but you'll recover. Watching a film like The Rite is like looking under the tree and finding a collar and dog food. Then all of a sudden your parents come carrying a dog kennel. You look in the kennel and find...a stuffed dog. This breaks your soul. The shift I'm referring to is when the film suddenly stops being a superbly eerie drama and tries to become a horror film. This doesn't work at all. It gives you the feeling that the movie has no idea what it wants to be and it collapses in on itself and becomes a parody by the end. 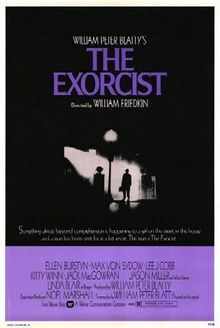 The movie either quoted or took jabs at William Friedkin's brilliant The Exorcist several times. 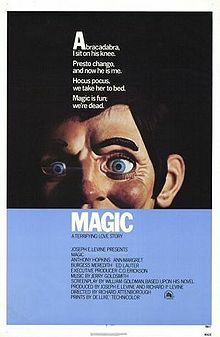 If you are going to invoke a classic film, perhaps the best in it's genre, you better make sure you bring your “A” game. If not, you will only succeed in reminding the audience that there is a much better movie that they should be watching. If you want a truly great exorcism film, you needn't look further than Friedkin's The Exorcist. It really just doesnt get better than that. As the 2004 prequel shows, however, things can get much worse. 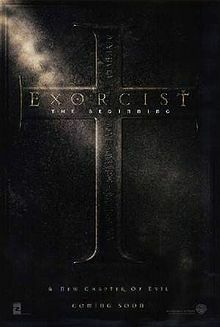 Renny Harlin's Exorcist: The Beginning isn't just a bad movie, it's possibly his worst...and he's the guy who made Cutthroat Island. 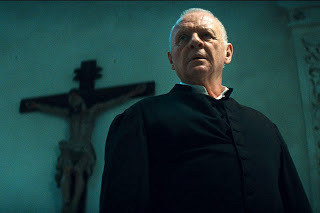 If you're unfortunate enough to have already seen The Rite then Exorcist: The Beginning is exactly what you need to realize how bad it could have been. This is so awesome! We have been waiting for some time now for someone like you to start a website like this so we can get a good review on all the new movies. Congratulations and best wishes with your endeavor. AWESOME WEBSITE! CANT WAIT TO READ ABOUT THE MOVIES I WANT TO GO SEE..
Hey, You've got a good thing going here. How do you feel about adding a ratings system? Or does that pigeonhole a review too much in your view? Ben - It's hard for me to feel comfortable with a defined ratings system like assigning a number of stars. Not to sound too pretentious, but every movie feels different. I love Bad Boys 2 and I love Seven Samurai but giving them both a 5 star rating wouldn't feel right; I like both but they're in completely different leagues. I think it does pigeonhole reviews to assign a specific grade. If I get enough of a demand from readers I would definitely implement some kind of a rating system...I'd just have to think of one that would fit my style.